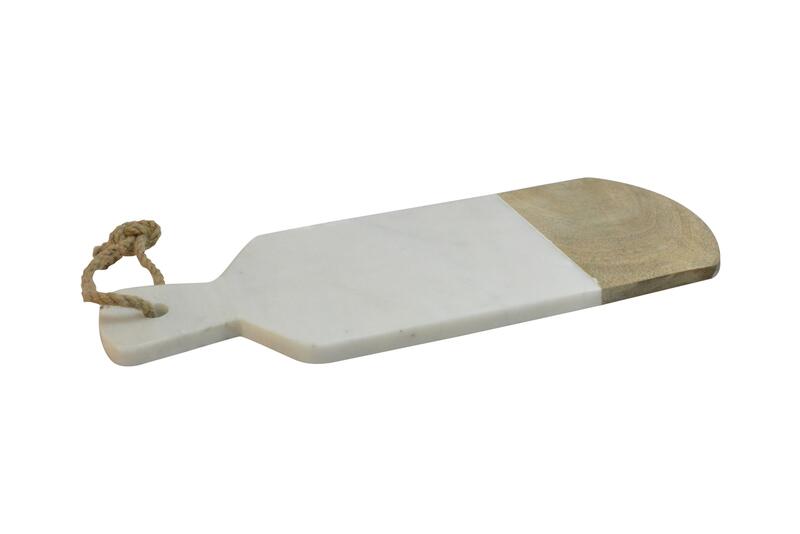 How beautiful is this sleek marble two tone paddle board by Dassie Artisan?! This unique board is great for chopping, prepping and serving food. Handcrafted by artisans, looks great hanging in any kitchen to show the natural beauty of the marble and mango wood.